No part of the city’s recovery has offered more hope, as well as evidence of solid progress, than the reform of our failed system of public schools. New Orleans has become a model of educational reform, and our children now have access to a network of successful and accountable schools, predominantly charter schools. The Pro Bono Publico Foundation awards grants each year focused primarily on supporting successful schools and their supporting organizations. Charter schools currently educate over 60% of our students, and that figure is expected to climb. 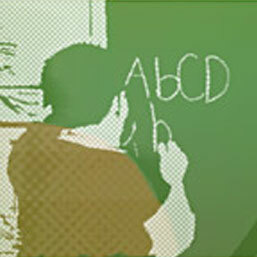 Charter schools enjoy a high level of autonomy and are held accountable for student outcomes. Annual standardized tests have provided strong evidence of improving student performance in this “system of schools” which replaced the failed “school system.” The Pro Bono Publico Foundation helps support a number of our most successful charter schools, and Rex members serve on most charter school boards. The drive for system-wide school reform in New Orleans has attracted not only strong and enthusiastic local support, but also generous national assistance. 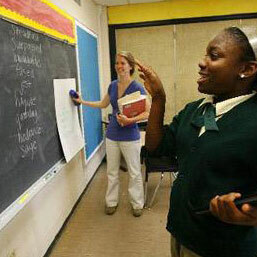 Organizations such as Teach for America and KIPP have joined local organizations such as New Schools for New Orleans to assure that the process of renewal and reform succeeds. Rex members have helped lead and support these organizations, and many have received grants from the Pro Bono Publico Foundation. Profiled on this page are some recipients of Pro Bono Publico grants–successful schools and supporting organizations in the forefront of educational reform in New Orleans. Please visit their websites to understand better the work they are doing to make sure that every child in New Orleans has access to an excellent school. KIPP (Knowledge is Power Program) New Orleans currently supports five schools and 1000 students, including the two highest performing open enrollment schools in the city, and PBP grants have helped support that expansion and success. The mantra “work hard, be nice” remains central to what it means to be a “KIPPster”—big and small. The pillars developed by the founders of KIPP continue to guide KIPP schools across the country, including those operating here. 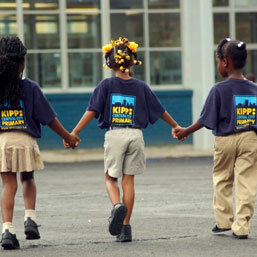 The first KIPP High School will open soon in New Orleans, and a total of 12 KIPP schools are planned, ultimately serving nearly 5300 students. Teach for America has made a major commitment to the New Orleans region, and Pro Bono Publico Foundation grants have helped recruit and support 250 new TFA teachers, bringing the regional total to 500. TFA teachers will be teaching in nearly every school in New Orleans and will be impacting fully 1 in 3 students in our region. Many of these bright young teachers will stay in New Orleans, and TFA alums are providing key leadership to individual schools and to organizations supporting public school reform in our city. 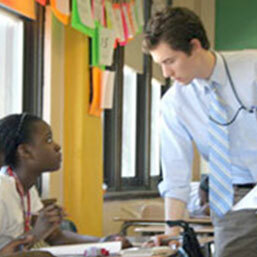 This year over 35,000 college seniors applied to become Teach for America Corps Members. 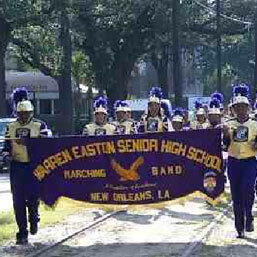 When the school board did not open Warren Easton High School after Katrina, its alumni foundation qualified for a charter and has run a very successful high school ever since. Early support from Rex members through “Project Purple” helped connect Warren Easton Charter High School with services and support. Easton graduates nearly every one of its students, and PBP grants help support a vigorous college counseling program to help assure their continued success. Opened in 2001 as part of the vision of the late Fr. Harry Tompson, S.J., The Good Shepherd School provides an excellent, tuition-free education in a safe and nurturing environment to at-risk children in New Orleans who are members of families living below the federal poverty level. PBP grants help support the academic program which empowers these children, providing them with the tools to break away from the cycle of poverty. Rex members helped found Good Shepherd, and several members continue to serve on its board. Recent graduates of GSS are continuing their studies in the city’s strongest high schools. Excellent public schools for all children is the single goal of New Schools for New Orleans and it drives every decision, whether it’s funding new public, open-enrollment charter schools; recruiting talented and committed teachers, principals and board members; or advocating for school quality, NSNO is continually working towards this ambitious but attainable goal. Each charter school must have a volunteer board to oversee the school’s management. PBP’s grants support the NSNO “Board Bank,” recruiting and training charter school board members. Rex members both helped found NSNO and continue to serve on its board as well as on the boards of most New Orleans charter schools. 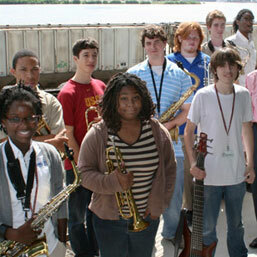 The New Orleans Center for the Creative Arts has been a true success story, a regional pre-professional arts conservatory which allows students from over 100 different schools to develop their talents across a broad range of performing and visual arts. 97-98% of NOCCA graduates go on to college, and NOCCA alumni are prominent members of the art community locally and nationally. PBP’s grant helped the NOCCA Institute obtain a significant challenge grant supporting development of a master plan to guide future NOCCA expansion. A number of Rex members serve on the Institute Board. New Orleans College Prep is one of New Orleans’ most successful charter schools, and recently earned state permission to add an upper school to its charter. 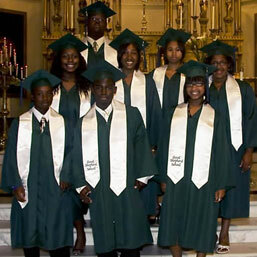 Its mission is to prepare each of its students excel in a rigorous four-year college or university. NOCP is an open enrollment public school and their students are 98% African-American, 93% qualify for free or reduced lunch and 12% are classified as Special Education– the highest percentage of any New Orleans Charter School. PBP’s grant helps support the continued success of this fine school, located in the old Sylvanie Williams School only a few blocks from the Rex Den. 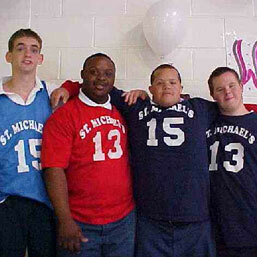 St. Michael Special School was founded in 1965 and continues to serve children with major learning challenges. The school provides a safe environment and a full educational program including computer skills, counseling, speech and language therapy, and vocational training. The PBP Grant supported expansion of the school’s art and music program as well as the establishment of the JOY (Jobs of Youth) Program, allowing older children and graduates to develop and use skills in a sheltered work environment.